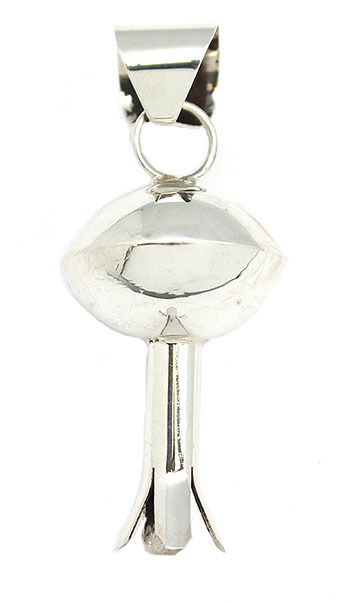 This sterling silver pendant has a plain 28mm bead with a blossom at the bottom. It measures approximately 2 1/2" long including bail with bead measuring about 1" wide. Handmade by Navajo artisan Monica Smith. Available in plain or with some stamping designs on them. Choose style when ordering.